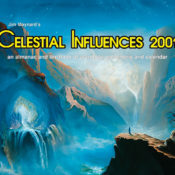 2001 Celestial Calendars has cover art by Rodney Birkett. The artist for the zodiac illustrations is unknown. Use the contact us page to email us to purchase any of the other 2001 calendars. 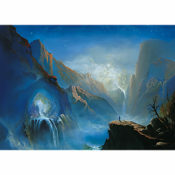 The 2001 Birkett cover is also available as a note card.